My sweet girl wanted a movie party this year. So, that is what she got. 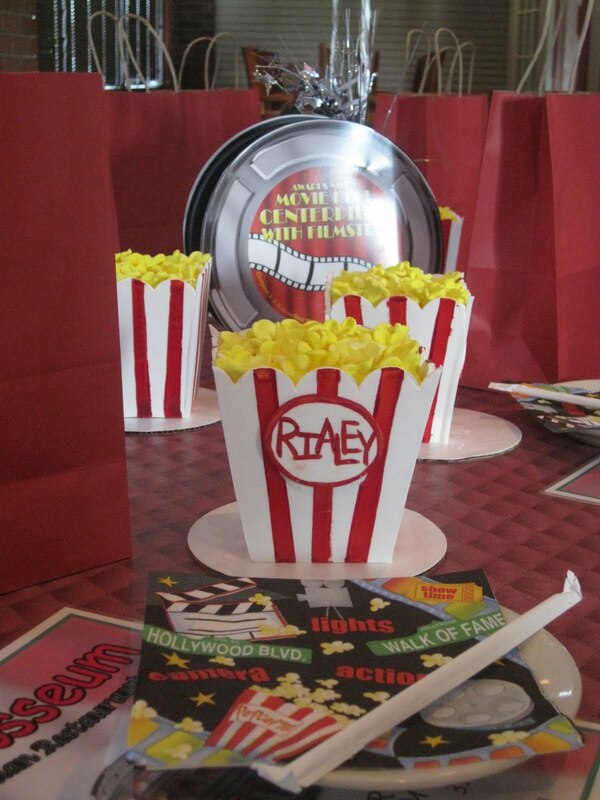 The popcorn boxes are the cake. 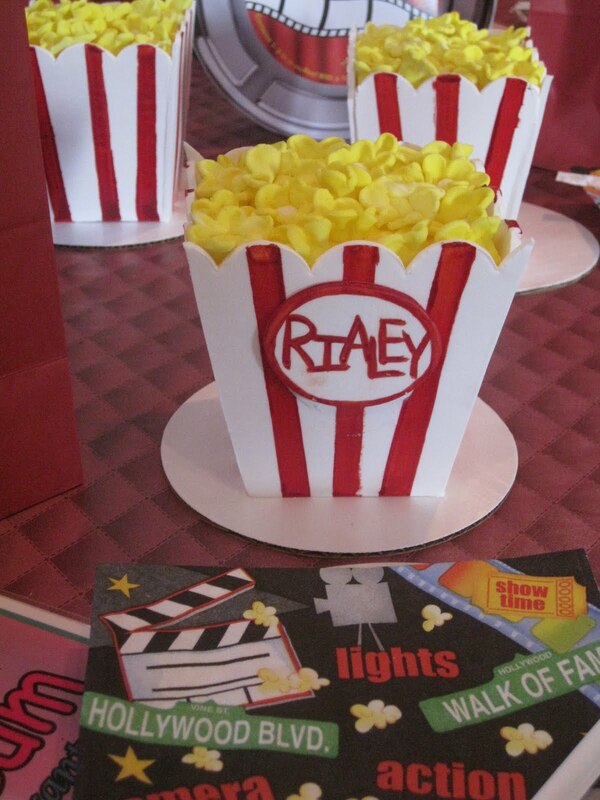 I had each girl her own mini cake made in the shape of a popcorn box. They turned out sooooooooooo cute, Brenham Olde Towne Bakery did a great job. They were adorable and yummy. 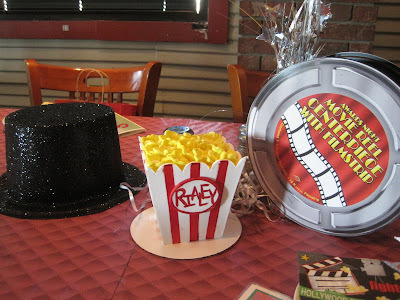 We took all the girls to a local Italian restaurant, I went ahead of time and decorated the tables and set out the cakes, balloons, movie reels, glittered top hats, party favors, napkins, etc... After dinner it was to the movie to see Shrek 3 then two hours of unlimited play at Horseshoe Junction (go-carts, laser tag, bumper boats, rock wall, mini golf, mini bowling, etc...). The party favors were Justin Bieber CD and bracelets (the stretchy ones shaped like different things). The party was fun and easy going, with seven girls it was no problem to do dinner, movie and Horseshoe Junction. It was a fun night and everyone enjoyed the party, most of all the birthday girl.